On a hot August night in Las Vegas, undefeated boxing champion Floyd Mayweather Jr. and mixed martial arts star Conor McGregor squared off at the T-Mobile Arena for what would go down in history as one of the most legendary fights in combat sports history. The event was also referred to as “the money fight”—and for good reason. After all, there was plenty of money being thrown around, both for Mayweather and McGregor who cashed in astronomical paychecks, but also for the boxing industry itself. While Mayweather may have defeated McGregor in the 10th round, the real winner was Pay Per View. The T-Mobile Arena wasn’t at capacity, but the Pay Per View numbers more than made up for that. Approximately 4.8 million Pay Per View buys were counted for the night at a cost of $89.95 plus fees. This revenue stream raked in over 400 million dollars. Even if each one of the 20,000 seats of the arena had been filled, the in-person revenue wouldn’t have come close to that amount. In sharp contrast, restaurants have long relied on old-fashioned business methods. The restaurant industry is tied to a business model that doesn’t recognize the potential for global scale. It doesn’t matter how many covers a restaurant does a day; the business stops making money once the doors are closed. This is where ItsOnMe comes in. Online gift cards are the Pay Per View of the restaurant industry. With ItsOnMe, restaurants have access to a 24 hour a day revenue stream on a global scale that doubles as a customer acquisition platform. ItsOnMe is a liaison between customers who shop online and the restaurants they love. We created ItsOnMe as a POS-integrated mobile app and website that offers a seamless experience for both the customer and the merchant. ItsOnMe allows the customer to gift local to whoever they like, no matter how far away that person may be. The gift can be delivered instantly or can be scheduled to be delivered at a future date. There’s no need to buy a gift card in person or purchase a physical gift card online and wait for it to be shipped. Online gifting with ItsOnMe is also more personalized, allowing customers to buy and send unique gifts like a truly spectacular bloody mary or a round of golf. No standard restaurant gift card is as memorable. What the boxing industry gets right that the restaurant industry doesn’t is simple: revenue streams that go beyond brick and mortar. The average restaurant is open for a set number of hours on designated days. Each night, after the last cocktail is poured, the final check is signed and the employee side work is complete, restaurants across the country lock their doors, close for the evening and stop making money. The people who live in the neighboring community no longer have a way to give that restaurant business, and people outside of the area don’t either. With Pay Per View, the boxing industry found a way to capture the business of individuals in a way that defied opening and closing hours and proximity. Other industries have caught onto this line of thinking. The hotel industry has long relied on online reservations, allowing customers to book rooms 24 hours a day without having to go to the business in person or even pick up the phone. Golf resorts offer online reservations as well, making it easy to book a tee time from home. Concert venues make it possible for music lovers to purchase tickets for their favorite bands online as soon as they go on sale, eliminating the need to wait in line at a ticket booth. These industries and countless others have developed technology that reaches customers 24 hours a day in the place where they shop: online. CFO-driven restaurant groups have figured out the financial appeal of gift cards. If you grab a meal at one of these chains, your server will try to sell you a gift card and your menu will likely include a blurb about gift card availability. This is because CEOs and CFOs of major corporate restaurants understand the power of gift card sales. 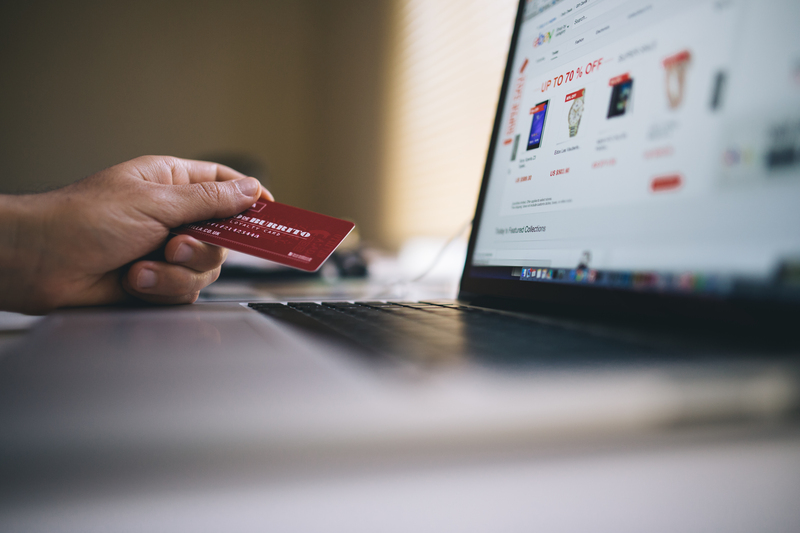 They recognize the important way in which gift card sales drive current and future revenue streams by the customers who purchase them and the ones who come in later to redeem them. Our mission at ItsOnMe is to not only do this but to do it better by empowering local businesses with the same technologies that the large chains have been capitalizing on for years. Let’s take a look at how ItsOnMe works with a simple math problem: If your restaurant sells just one gift card a day, that’s 30 gift cards a month. That number added to the extra gift cards sold around holidays like Christmas, Father’s Day and Mother’s Day can turn into 500 gift cards a year. Our data shows that the average gift card user dines with two other people. Suddenly, that one gift card a day has turned into an extra 1,500 covers a year. Can you imagine what that number would be if your restaurant sold two to three gifts a day? Now let’s compare that free customer acquisition with an old-fashioned method. Imagine your restaurant spends $1,500 on a magazine ad that brings in 50 customers. That’s $30 per customer. Even if each customer spends $30 at your restaurant and you net 15%, you’re still $25 in the hole. With ItsOnMe, your business can net limitless customers with no acquisition costs. Starting to add up? If you’re not currently monetizing your loyal customers through technology that empowers them to bring your restaurant new ones, consider partnering with ItsOnMe to grow your business. The people who already love what you’re doing will be able to share it with their friends, family and co-workers and you’ll be surprised at how much your bottom line will be positively affected. Just like the boxing industry, your growth potential will be unlimited the moment you start thinking outside of your business’s four walls. Join the #GiftLocal community and see what you can achieve.